Home Keep it Simple Know Warming up to a happy workplace! There is a strong link between a happy and healthy workforce and level of output. Law dictates minimum standards for employers and employees to adhere to regarding working environment and the fair treatment of colleagues. The companies which go beyond these standards are the ones which flourish – but which combination of people, place and working culture creates super efficiency? This forum provides an opportunity to submit ideas for consideration by Facilities Management and Human Resources professionals – who can use their combined influence over people and place to promote ideas into action, to change workplaces for the better. We have submitted our product, eTRV+ to contribute towards a more comfortable (and energy efficient) workplace. 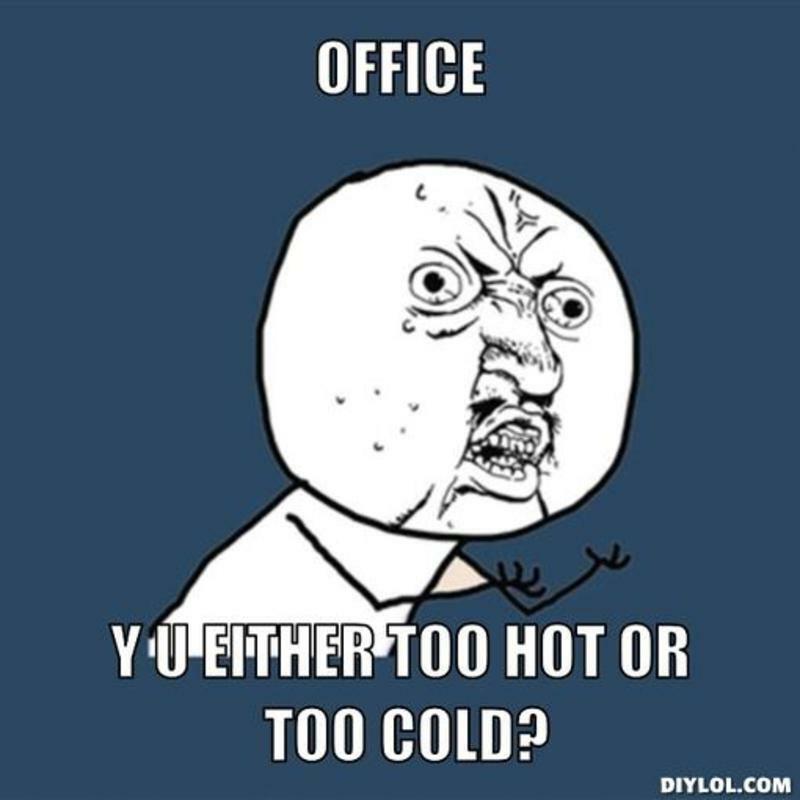 Numerous studies show that workplace temperature affects productivity. It affects the feeling of comfort, perception of air quality and symptoms of sick building syndrome. Many of our commercial buildings are inadequately heated and poorly ventilated. One particular study from the US by Seppanen, Fisk and Lei quantifies optimum performance temperature. Performance increases with temperatures up to 21-22°C and decreases above 23-24°C. Highest productivity is 22°C. Dependent on the activities undertaken and the environmental conditions of the building, maintaining very close temperatures control can be challenging. eTRV+ uses Patented Dual Sensor technology to provide 0.1°C accuracy, compared to fluctuations of between 2-3°C using a traditional TRV. eTRV+ fits to each radiator to provide room by room heating control. For example, if solar gain warms one room, eTRV+ will shut down to prevent overheating, without altering temperature in other rooms. However, comfort is an individual preference. If the programmed temperature feels too cool, eTRV+ features a manual push button, which provides a one hour heating boost on demand. Conversely, if a window is opened as a result of the room feeling too warm, eTRV+ switches off the heating to cool the room and minimise heat loss. Building managers have the task of balancing user comfort with meeting energy efficiency targets. Rapid developments in communication technology have led to huge changes in the way workplaces are used. Flexible working has changed the flow of people through buildings. Hot desks, personal offices and meeting rooms see huge variations in use over a week. It is clear that heating needs to be flexible and considered on an occupancy basis. eTRV+ uses programmable timers to heat areas with scheduled use. For areas of intermittent or difficult to plan use, eTRV+ can be combined with occupancy sensors and timers to enhance energy saving. Tackling comfort is one small step – using eTRV+ is a low cost way to enhance comfort, with ROI through energy savings. If we all submit one small, low cost idea, great changes could be ahead! Would you like to comment on our idea? We would love to hear from you, click here to comment, or vote on our idea. Interested in finding out more about eTRV+? Click here to learn more.